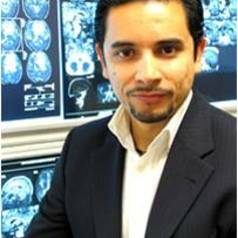 Professor Michael Valenzuela is leader of the Regenerative Neuroscience Group at the Brain and Mind Research Institute, University of Sydney. His background is in psychology, clinical medicine and neuroscience research. Prof Valenzuela’s PhD focused on the topic of brain reserve, specifically how complex mental activity affects the development and expression of dementia. This question was tackled using multiple different technologies including epidemiology, neuroimaging and cognitive research. For this work he was awarded the prestigious Eureka Prize for Medical Research in 2006. More recently, he was honoured to receive a NHMRC Excellence Award for the top-ranked clinical Career Development Award in 2010. Prof Valenzuela’s research is aimed at further understanding the competing forces of neuroplasticity and degeneration in the human brain, and how these can either lead to, or help prevent, dementia. This research includes studies with stem cells, animal models, brain tissue, human clinical trials and large multinational population-based samples. Prof Valenzuela believes that the problem of dementia is a critical one for modern society, and is committed to communicating dementia-prevention health ideas to the public.